MusAPPTm is an integrated online computer assisted learning environment for vocal and instrumental music education. Designed to deliver instructional content and encourage the development of music aptitude and performance skills. MusAPPTm will enable beginners to sing or play on pitch, and in tune while reading music notation. Students will quickly learn to read pitch and rhythm notation, sing or play melodies and harmony parts, and learn the fundamentals of music. 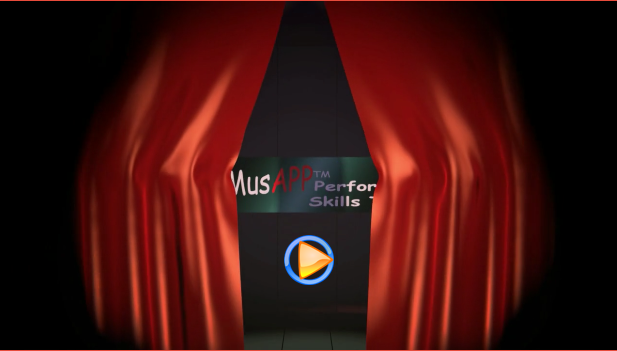 MusAPPTm lessons incorporate ear training and sight singing with performance activities. As students learn the fundamentals of music theory, they will develop performance skills through the use of real time audio/visual biofeedback via microphone, virtual keyboard, note name and scale number input.